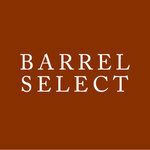 Barrel Select pioneered the concept of accessible luxury wines in Ontario years ago! We brought in wines that tasted like cult wines, yet they were more obtainable, accessible and affordable than those with the out-of-reach cult status (and ego driven price tag). We did this long before others; paving the way for more dynamic and varied wines in Ontario. Stepping outside of the mainstream, we introduced lesser-known regions, that required a commitment to the wine chain, as opposed to acquiescing to the commodity driven, notional wine options. Barrel Select’s wines are made by wine lovers for wine lovers. They reflect the character of every vintage, place and unique terroir.